LUCKYYAN Healthcare Oxford Waterproof Cloth Multi-Mover Flat Slide Sheets - 108 x 68 cm by luckyyan at Get Cheap Health Insurance. MPN: 6255087. Hurry! Limited time offer. Offer valid only while supplies last. 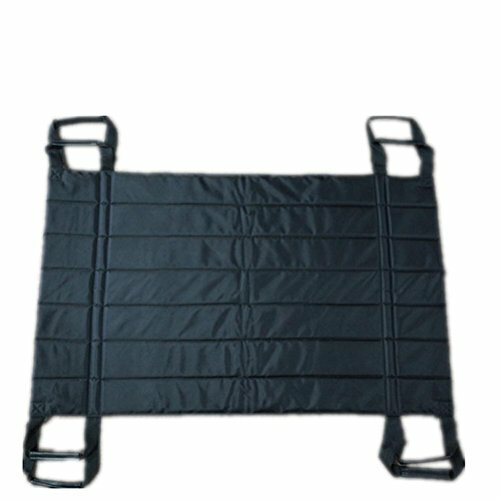 Material: Oxford clothItem: shift padApplicable scenes: fitness equipmentProduct category: care productsColour: BlackLoad: 100kgDesign features: 1. Moving and handling assistance for carers to use to help a person change position. Suitable for positioning a person in bed, transferring in and out of bed or for lateral transfers between beds or bed and trolley. Extension straps help improve carer's posture. Can be used singularly or in pairs. Thickening waterproof Oxford water seepage fabric, to prevent patients incontinence dirty bed.